Recipes, restaurant reviews, food articles, seasonal eats. Everything you need to know about food. I was recently searching for a potato-rice recipe and stumbled upon an Awadhi recipe called aloo ki tahari (can also be spelled tehri, tayari, or tehari). Awadhi cuisine is a native cuisine of Lucknow, India. 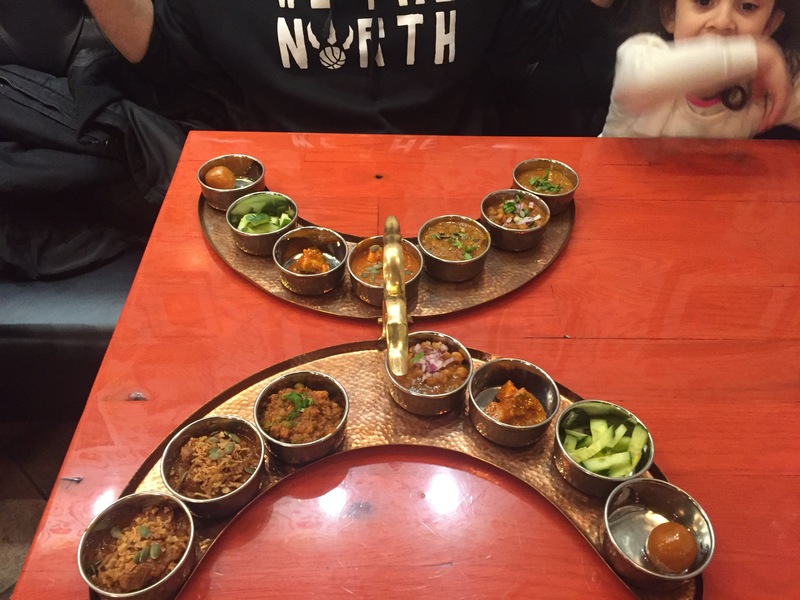 I’m from Delhi, so I don’t know much about preparing dishes from Lucknow, but as many of you may know that Lucknow is famous for their biryani, kabobs and cuisines overall. Of course, I had to try the recipe and of course I had to share it with all of you (lucky you) and this time I even managed to take photos as I was preparing the rice. You’d think after blogging for 9 years, I’d get the hang of photographing or recording my recipes on video. This time I did and I must say I’ve done a good job at it (😂). Here’s the recipe. Try it out and let me know what you think! Happy Navratri to all celebrating. For those of you that don’t know what Navratri is, you can read about it HERE. During these nine days of Navratri it’s hard to find and make recipes that are suitable for your fast, plus quick enough to make during weekdays; so here’s one I picked up from my mother. It’s my most favourable recipe and dish to eat during Navratri; although, I don’t fast and just enjoy these potatoes whenever I’m craving something savoury. I’ve been experimenting with recipes and textures for the past few weeks and retried a recipe from my childhood. Every time I visited India when I was younger, one of my aunts would bring up a batch of these bread pakoras with a hot cup of masala chai. I called her a few weeks ago and asked her how to make them and I have to say they were absolutely delicious and savoury. Indian people love their tea-time snacks and appetizers and in my house we’re as Indian as it gets; especially when it comes to food. Of course, yours truly enjoys experimenting with different recipes and so, I’ve been making tons of Indian snacks during the holidays. But a staple item in most households is our dhaniya-pudinay ki chutney (mint-coriander chutney). This savoury chutney goes with everything! You can make it to dip snacks and appetizers in, or out it in your raita (yogurt side dish) or eat it with roti or parathas and even enjoy it on top biryani. It’s like ketchup in the modern world. And of course, I have my mother’s recipe here to share with all of you. Here’s how you make a delicious and savoury coriander and mint chutney to go with all your appetizers and snacks. 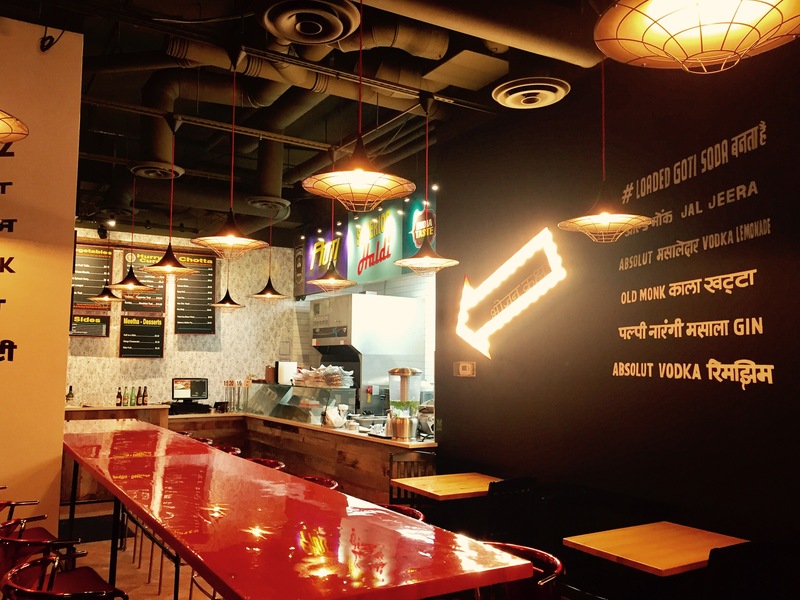 A couple of days ago, Dev and I decided to go out for dinner and try a new Mumbai street food restaurant in downtown Toronto. 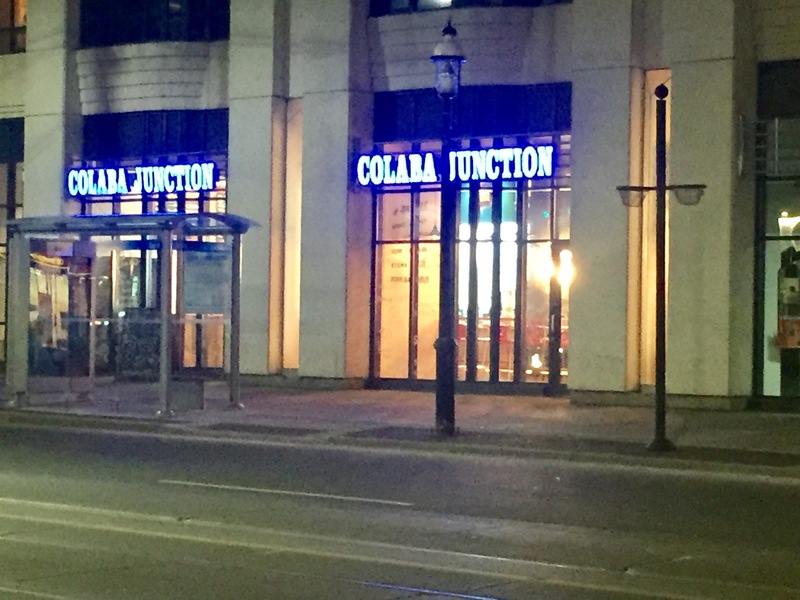 Colaba Junction is located at the corner of College St. and Bay St. It’s a fairly small restaurant with roughly 15-20 seats. The decor of the restaurant is fantastic and well designed. When we first arrived, I started looking at the menus hanging against the wall and immediately the cashier asked me to ignore those menus as those were the new menus and weren’t currently valid. He handed me a paper menu and told me to order from there. 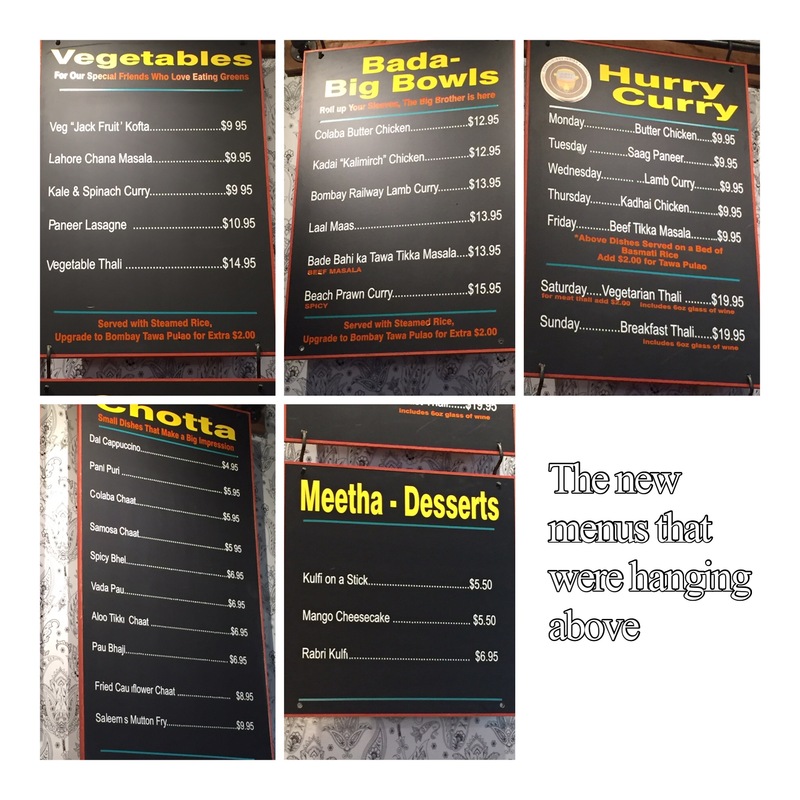 I started looking at the menu realizing it was slightly higher priced than the menu hanging above. 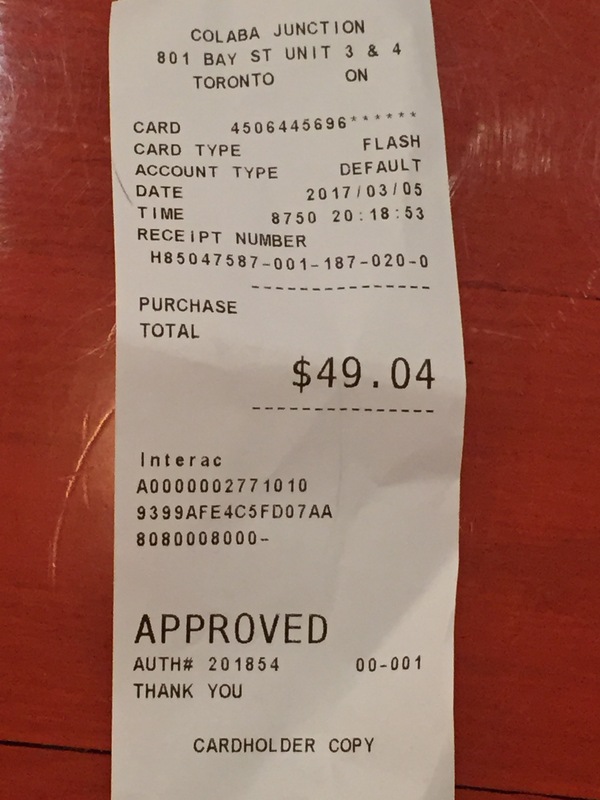 So, I jokingly said to the cashier that had we come the next day, we’d probably save a bit of money since the new menu was lower priced. He said, “yeah but there’s nothing I can do about it.” Probably not the best first impression to give a customer that’s about to write a review about you. After that disappointing start, we still ordered tons of food and took a seat as we waiting for it to arrive. The arrival of the food was reassuring and had me extremely excited. The presentation was extraordinary and looked amazing. Dev ordered the Vegetable Thali and a vara pau and I ordered a Meat Thali. The thalis looked completely different than any of the thalis I’ve ever had before. There was ample food served that could easily feed at least two other people. However, the food wasn’t hot, it was lukewarm and by the time we got to our second naan, it was cold. I complained to the cashier that the temperature of the food was quite cold but he assured me that the food was fresh and because of the front door opening it may have gotten cold. I later went to order a paratha and noticed the “chef” or guy behind the counter take out a frozen paratha wrapped in plastic; the same way that you receive Shaana parathas from the grocery store. I immediately changed my order and asked for a naan instead hoping that it would be freshly made. Unfortunately, that too looked like a grocery store frozen naan. Disappointed and turned off from the frozen naan and paratha, I folded my napkin over my plate and decided to end my meal. The curries and gravies taste good aside from the cold temperature. But paying $49+ for two thalis and a vara pau just to receive frozen naan was extremely disappointing; that I didn’t even bother to finish my review of the meal. 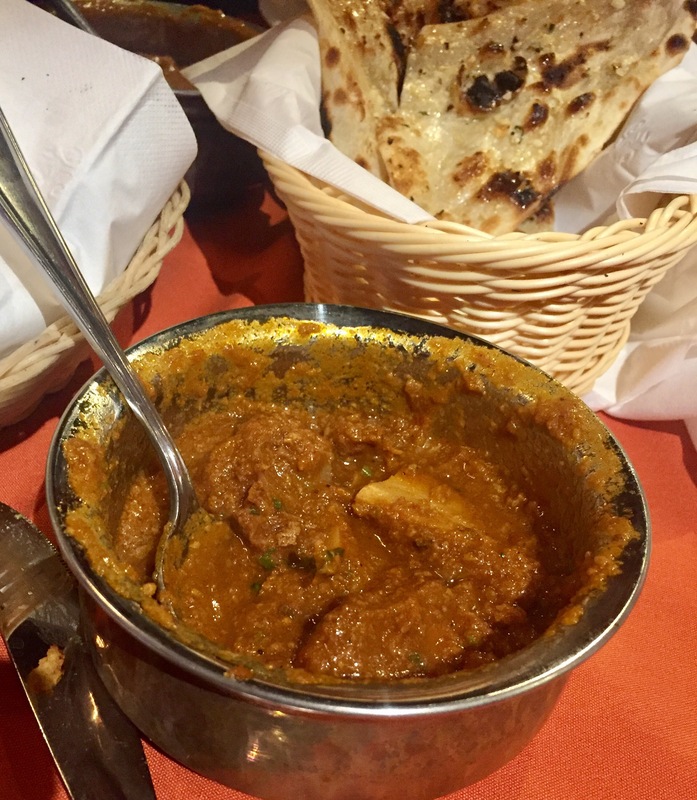 Before leaving, I spoke to the cashier again and explained how disappointing it was to see their chef take out frozen naans and parathas from the freezer to serve us and he kind of just shrugged his shoulders as if that was normal. This restaurant could have been a big hit with its decor and food presentation, had the food actually been up to the standard it was expected at. Needless to say, we will not be visiting or recommending this place to anyone. Recently, in search for a good Indian restaurant, a friend of my husband’s suggested we visit a former colleague’s restaurant. 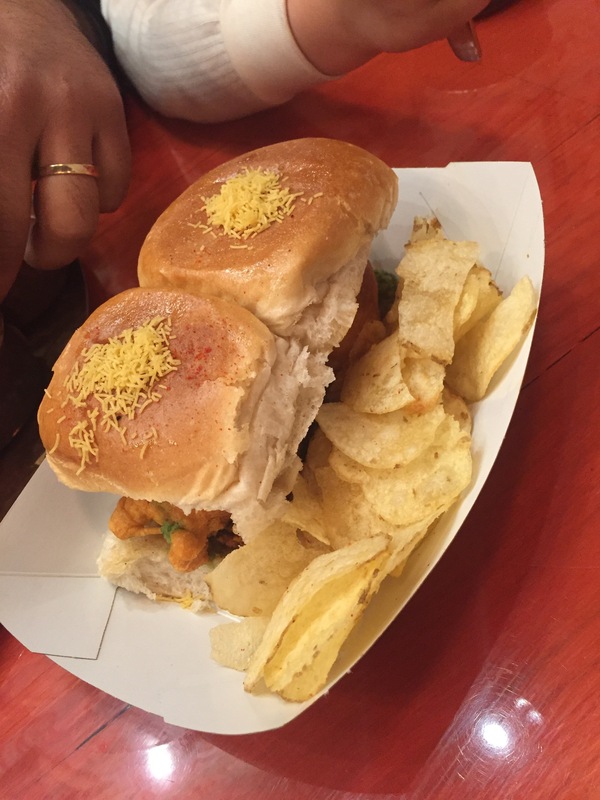 We try to stay away from friend’s restaurants as we don’t want to dine for free or at a discount. 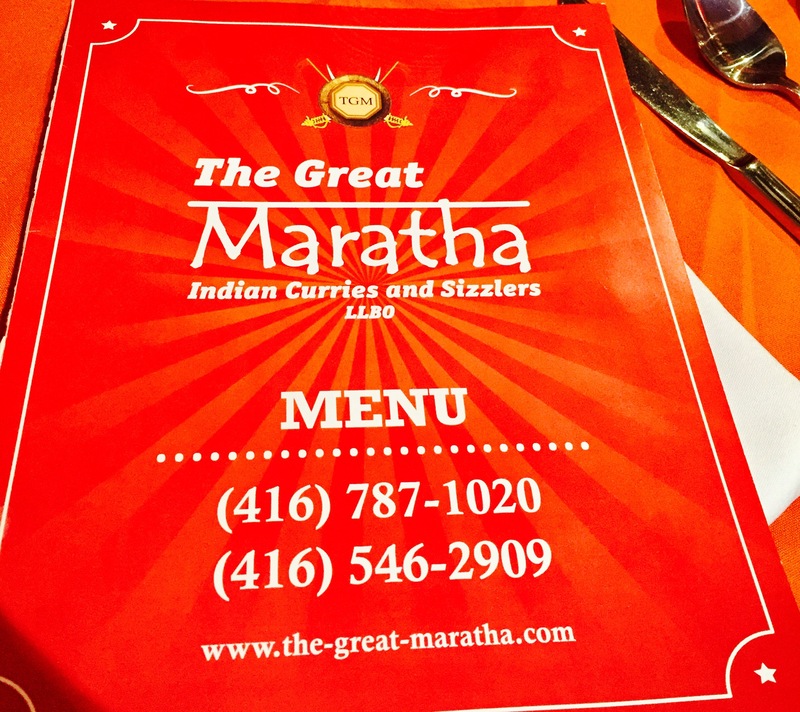 But we’d heard so many good things about this restaurant and I was craving good Indian food, plus anxious to review a new restaurant before the year ended, we decided to visit The Great Maratha. 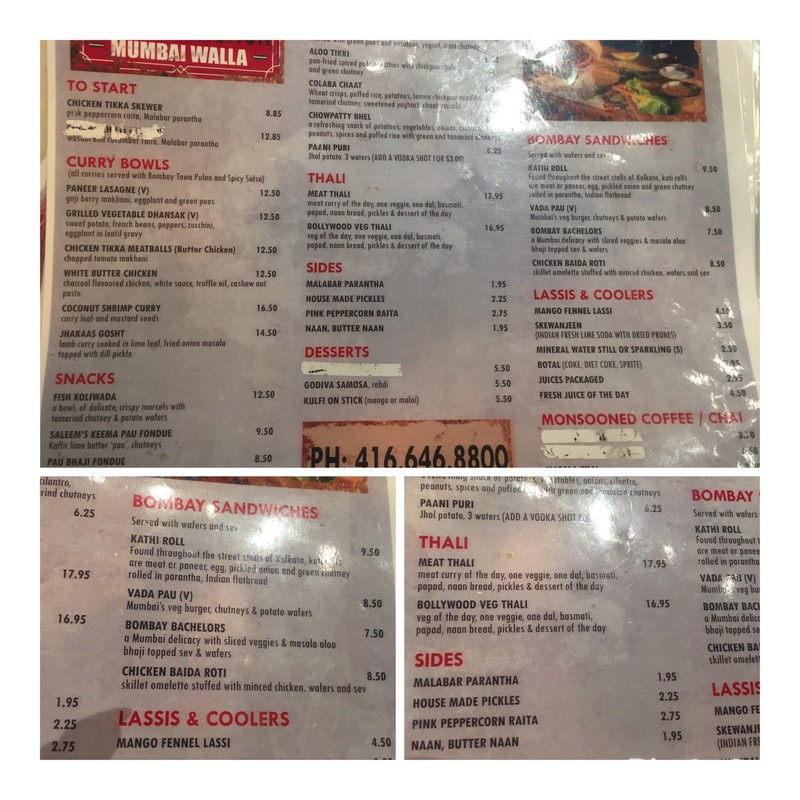 It’s a decent sized restaurant near Eglinton Ave. West and Bathurst. Cozy enough to enjoy a nice meal with family or friends and competitively priced that it doesn’t burn a hole in your wallet. 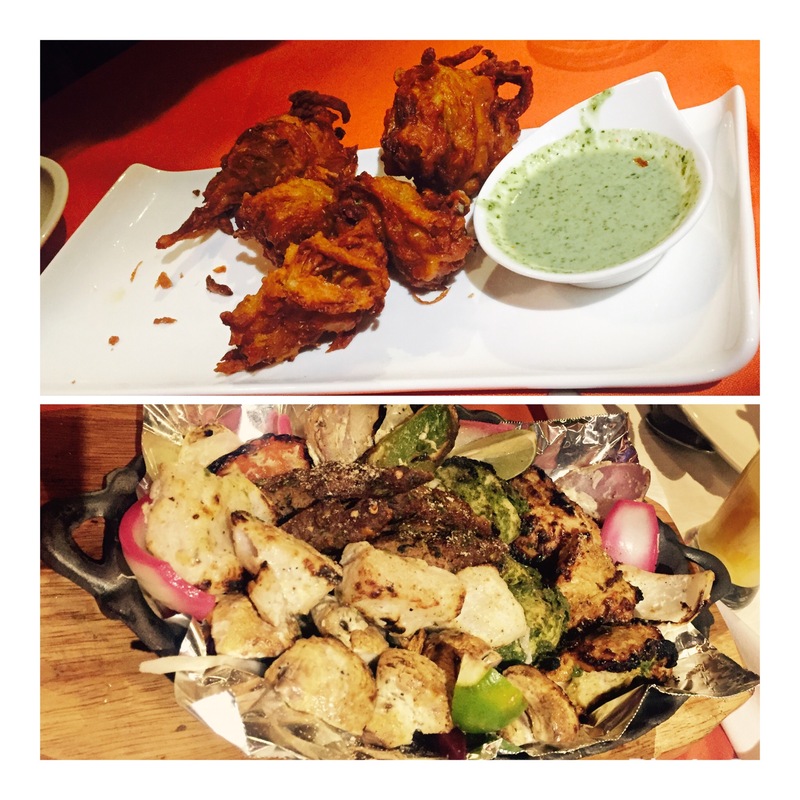 We started our meal with Onion bhajiya and the TGM Royal Platter; which came with a side of mint and tamarind chutney. The onion bhajiya was perfectly fried and crispy, as it should be. 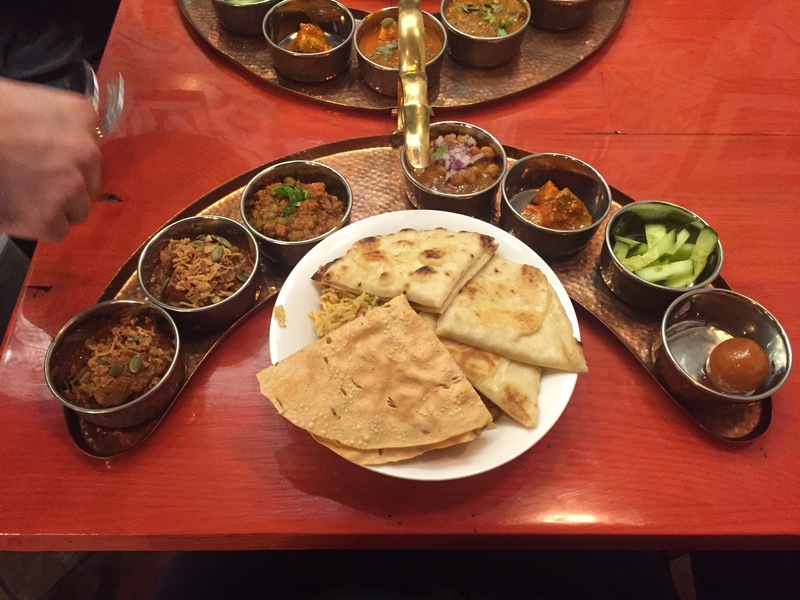 The Royal Platter consisted of beef seekh kabobs, achari tikka, mint tikka, fish tikka and tandoori vegetables. I found the beef seekh kabobs a bit bland and wanting more spice. But the other items were fantastic and well seasoned. 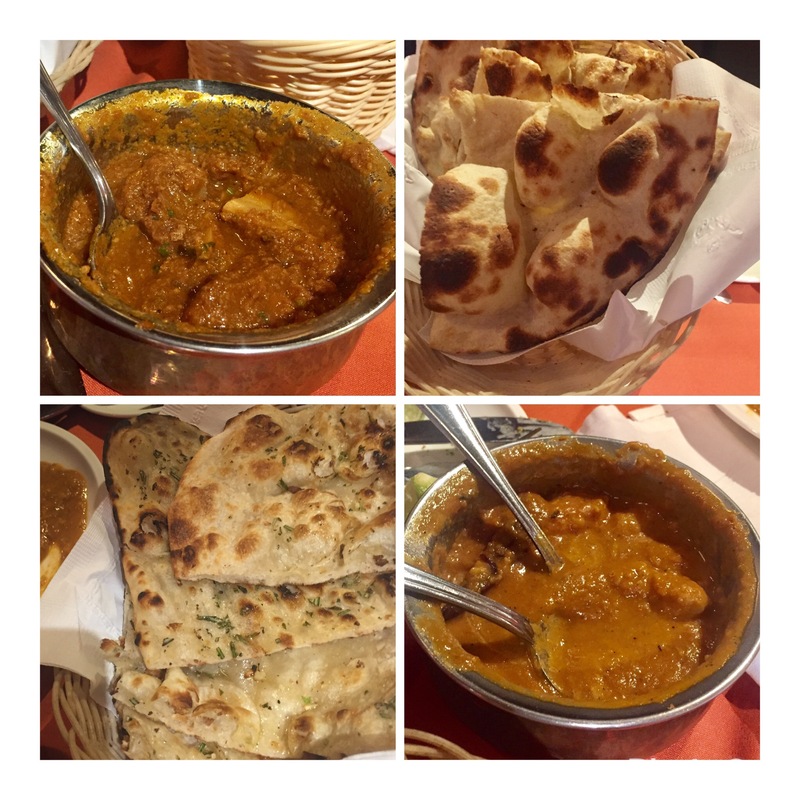 Our main course consisted of tandoori naan, roti, rice, goat curry and fish curry. The naans and roti were cooked to absolute perfection. Crispy and well-cooked and rice seasoned just enough to compliment the curries with overpowering the tastes. In general, I am not a fan of fish curry as I have yet to try one that I absolutely love enough to have regularly. Disappointingly enough, this fish curry didn’t do the job either. It had a slight sweetness to it; which for me isn’t how fish should be in a Maharashtran restaurant. I’ve known their food to be more savoury and spicy. But I won’t completely skip this curry. It was well-made, the fish was perfectly cooked. I just there was more of a kick to it. 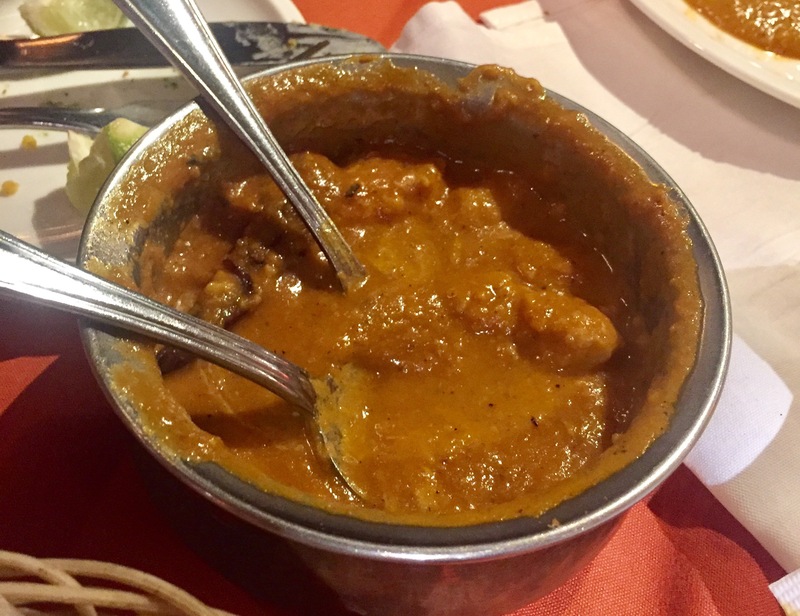 The goat curry was well seasoned and the chunks of goat just the right amount of tenderness. But again, like the fish curry this too needed a little more heat. 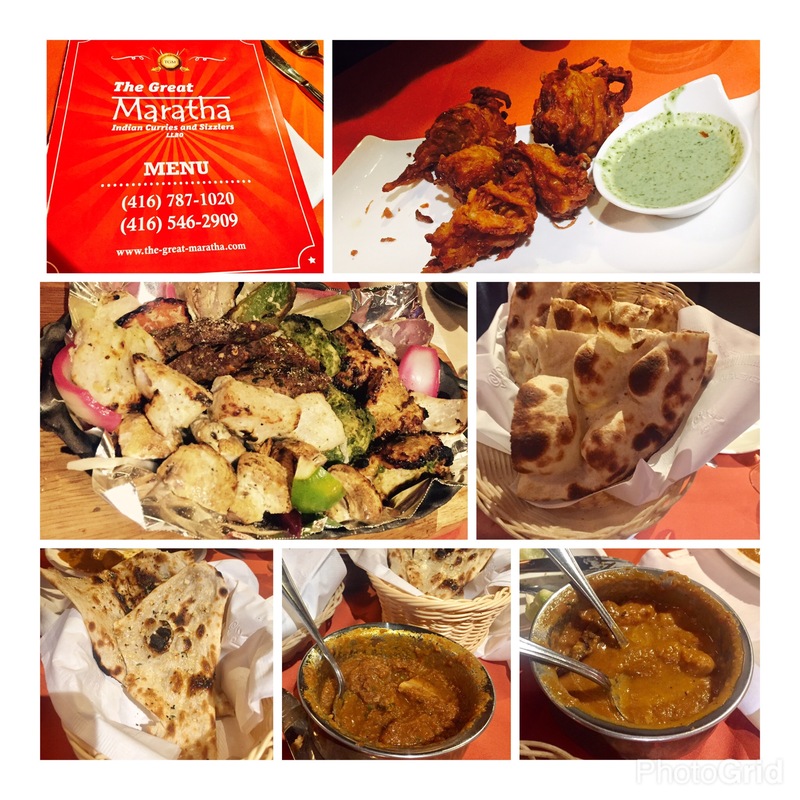 Overall, the meal was satisfactory and flavourful enough to come back again when craving a good tandoori meal. 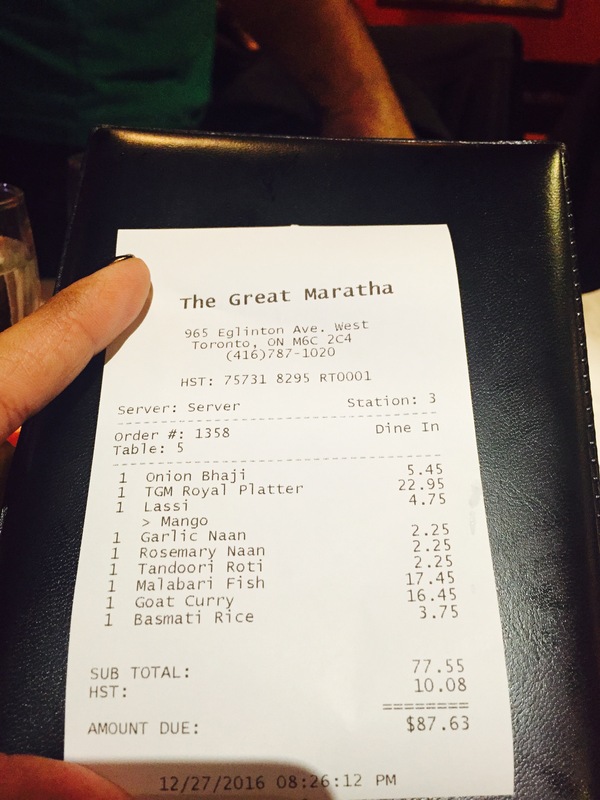 For three adults and one child, the meal was competitively priced. I will definitely be visiting again. But next time may ask for the curries to be slightly spicier. I recently ran out of flour at home but have promised to make cookies for some of my customers and family. Going through my pantry I found a box of vanilla cake mix and decided to use that to bake some cookies. I followed a simple cookie recipe with the consideration that all my dry ingredients and flavouring was already premixed. Needless to say, the cookies turn out amazing and I am still awestruck at how easy this recipe was. After this first recipe turning out delicious, I decided to make a second, third and fourth batch with different ingredients. I used oatmeal and dried cranberries, white chocolate chips and almonds, and a batch of peanut butter chips. Sift cake mix into mixing bowl, mix in sugar. Add butter, vanilla and eggs and mix until a thick dough is created. Add extra ingredients (I used oatmeal & chocolate chips) and mix well. 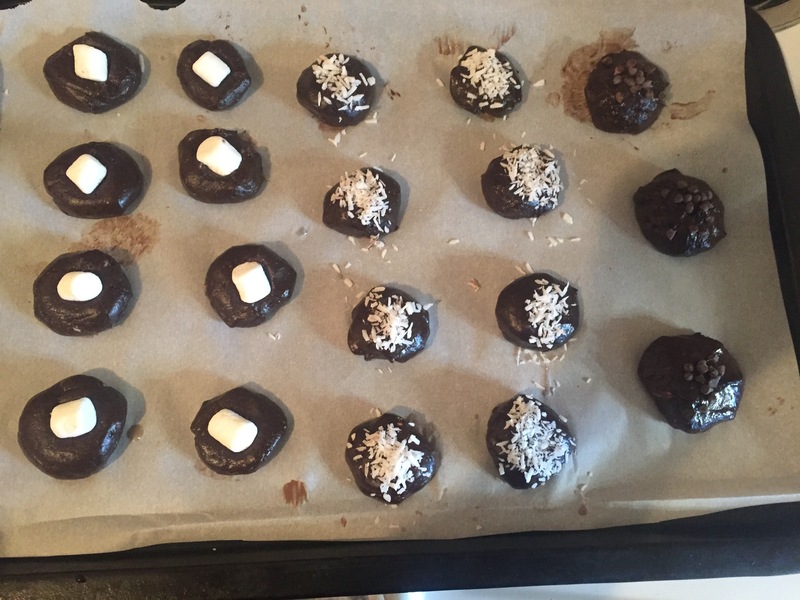 Make 1 inch balls and drop on parchment lined baking sheet. Bake for 7-10 minutes depending on how crispy or chewy you want your cookies. Dust with icing sugar if desired and enjoy! I bake my cookies for a bit longer because Dev likes well-done cookies. But once the top layer is no longer moist and bottoms golden, your cookies are ready.